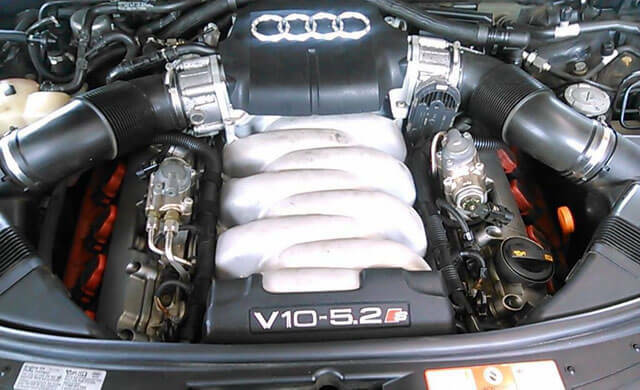 We use the latest diagnostic equipment, state-of-the-art alignment racks, and advanced technology to inspect, repair, and service your Audi vehicle, while keeping our costs much lower than you would pay at the dealership. Alpha & Omega Independent Car Repair is located in Boulder, Colorado, and operates from 8am to 5:30pm, Monday through Friday. We offer convenient appointments, free courtesy inspections, and complimentary shuttle service within the city limits of Boulder. After-hours drop-off and pick-up services are available upon request. Most major Audi repairs are backed by our industry-leading three-year parts and labor warranty. I've been a loyal customer since 1986, and have never ONCE been disappointed in the workmanship or price of any repair they've ever done on any of my vehicles. Their rates are more than fair and the quality of service is just an added extra. I cannot recommend Alpha Omega highly enough! They're as good as it gets! This family owned shop has provided great service and advice to me for just about 10 years. They are servicing my BMW and my wife's Nissan Murano. They also serviced my Ford Explorer. They offer honest advice about what work is need and what work can wait and that integrity and the quality of their work is what keeps me coming back.